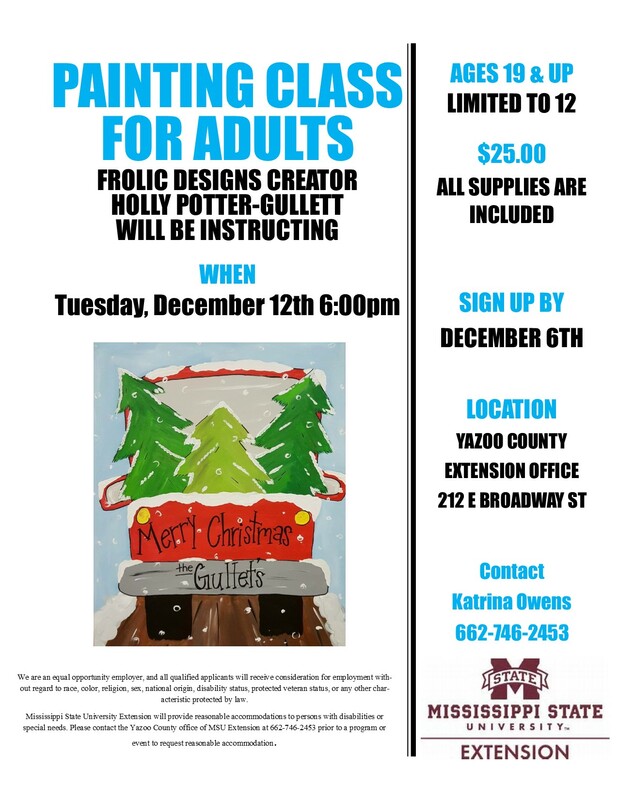 Frolic Designs Creator Holly Potter-Gullett will be instructing. The class is limited to 12 seats, ages 19 and up. The fee is $25 and includes all supplies. Sign up by December 6th by contacting Katrina Owens at 662-746-2453.